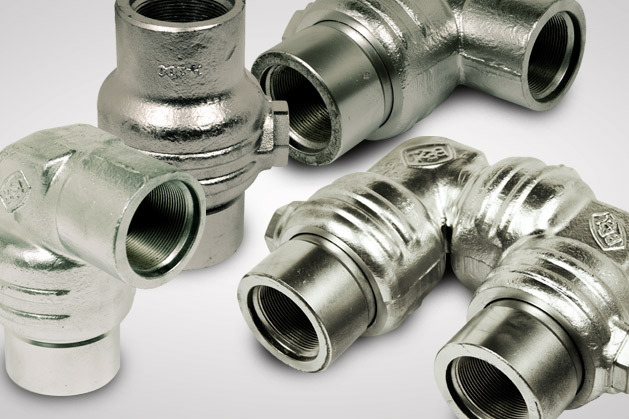 Energy Products offers an array of swivel joints that will cover all of your flow line flexibility needs. Extra high pressure long radius swivel joints in 4" Fig 1002 and 1", 1-1/2", 2", 3" and 4" sizes in Fig 1502. From fracturing, acidizing, cementing and well servicing, Energy Products offers a swivel that will meet your needs. Swivel joints can be ordered in any configuration in any style. Rebuild and recertification are available through our mobile or in-house certification centers. Swivel joints are ISO 9001-2000 and API compliant. Fully traceable MTRs available upon request.